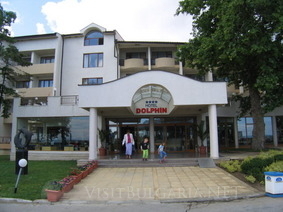 Location: Hotel Dolphin 4* is located close to the beach in a quiet natural park. It offers the best environment for a family summer holiday. The four-storied hotel was recently renovated and furnished. Accommodation: It offers 158 double rooms, 10 single rooms, 28 maisonettes, and 4 apartments. All rooms in the hotel are elegantly furnished and equipped with air-conditioning, satellite television, telephone, safe-deposit boxes, balcony, and baths with shower. An extra bed could be fitted in every room if needed.